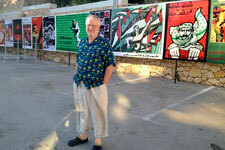 Dan Walsh in Ramallah at the exhibit "Tale of Revolution"
PARC sponsored Dan Walsh, who holds an M.A. in Arab Studies from Georgetown University, to present the Palestine Poster Project Archives (PPPA) in cities across the West Bank during the month of June 2012. Walsh was invited to speak by the Ramallah Municipality and carried on with his presentations of the PPPA at other venues in the region. The PPPA website contains almost 7,000 posters that offer an encyclopedic record of the history of modern Palestine—its culture, heritage, and struggle for sovereignty and opposition to occupation. Walsh also discussed the growth of Palestine posters in the 21st century. This event was supported with funding from the U.S. Department of State Bureau of Educational and Cultural Affairs through the Council of American Overseas Research Centers. 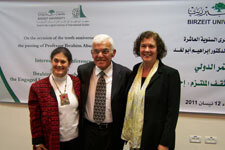 From June 5 through 7, 2012, PARC and Bethlehem University sponsored a conference entitled "Building on Strengths and Supporting Communities: Utilizing Research and Evaluation in Context." The first two days of the conference focused on building individual faculty and university research and program evaluation infrastructure and included 19 faculty members from five West Bank universities. The program involved training in models of evaluation; skill development in specific tools used for evaluation research such as logic models and SPSS-based analysis and factor analysis; as well as tools of qualitative research. The third day of the conference was for 18 individuals from NGOs and sought to build on the existing research and program evaluation infrastructure. The program involved an overview of models of evaluation and skill building in the area of logic models. The additional theme of reaching out to and partnering with a university was included. Both groups were given ample opportunities for networking. In addition to the valuable substantive information, many new partnerships were formed among and between the researchers, Palestinian universities, NGOs, and U.S. universities. The U.S. faculty members leading the program will continue to provide support to Palestinian faculty members in implementing their newly acquired skills, as well as nurturing for the new partnerships. The conference was lead by three U.S. faculty members: Elizabeth Beck, Georgia State University; PARC Faculty Development Seminar fellow from 2010 Mahasin Saleh, University of Nevada, Reno; and Soleman Abu-Bader, Howard University. At a conference entitled "Social Media and the Occupation," Palestinian and international panelists discussed Israeli authorities' and Palestinian activists' use of social media. The event was hosted by the Media Development Center (MDC) at Birzeit University and the Palestinian and American Research Center (PARC). 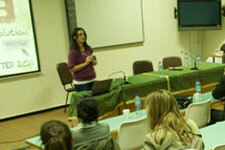 The event attracted local and international journalists, media and communication professionals, and students. Ramsey George, co-founder of the online blog 7iber.com, commented on the diversity of participants. "This is an interesting lineup for a talk on this topic. We have a professor, someone who kind of sits in the middle, and the true media activist," said George. 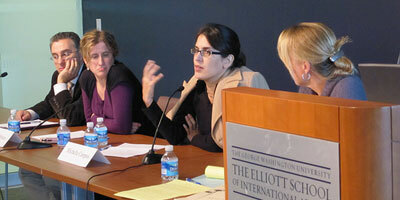 Duke University professor Rebecca Stein was the keynote speaker. Stein is a two-time PARC fellow who studies the relationship between the Palestinian-Israeli conflict and Israeli popular culture. Her latest project focuses on the interplay between the Israeli military occupation and new media and technologies in the Israeli context -- both the ways such technologies are employed by activists as tools of protest, and how they are used by the Israeli state, both governmental and military bodies, to serve its policies in the Palestinian territories. Drawing from her current research, Stein noted that social media is often credited as a "digital diplomacy" tool for grassroots activists. She also described, however, the complexity underlying the alleged "digital utopia" paradigm. Stein contended that "what is forgotten is that these technologies are also available to authorities and repressive state forms, and they can be mobilized from the top just as easily as they can be mobilized from the bottom." 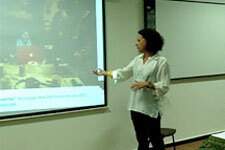 Stein asserted that while the Israeli authorities are increasingly using social media, the majority of their social media strategies have been improvisational. "I think the state is really trying to remake its image having this social media in mind, but I think the effects have yet to be seen," Stein said. Abdelrahim Abdallah, the coordinator of the Research and Policy Unit, questioned "the dominant narrative of the Arab Spring … that social media moved the masses and brought democracy to the Middle East." George concurred, describing how socio-political mobilization has occurred by other means in the past: "Unions in Egypt have been organizing for 50 years. The popular committees in Palestine have existed for a long time. Social media tools have just helped push their messages into the mainstream media." In response to these critical perspectives on social media as a catalyst, student panelist Nejla Keyed asserted that social media can work as a tool to overcome the obstacles Palestinians face under the occupation. "Instead of just watching the mainstream news and getting higher blood pressure from the frustration, we now have the possibility to talk to the IDF spokesman through Twitter. We can also reach people from the USA, from Europe.... And we can reach other Palestinian people." Keyad further stated, "Because we have checkpoints that prevent us from meeting on the ground, it's important for us to use social media." Keyad also suggested that in some cases, social media may allow people on the ground to provide more credible information than what is offered by governments. PARC is grateful to the Educational and Cultural Affairs Bureau of the U.S. State Department through CAORC for funding to support PARC fellowships. PARC was one of three organizations joining to cosponsor the Ibrahim Abu-Lughod Institute of International Studies' annual conference entitled "Ibrahim Abu-Lughod and the Engaged Intellectual: Resurrecting a Model." 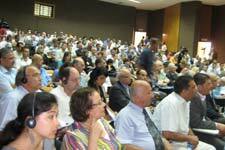 The conference was held on April 12, 2011 to commemorate the tenth anniversary of the passing of Professor Ibrahim Abu-Lughod. The five conference sessions revolved around the personal and professional life of Abu-Lughod, providing an opportunity to reflect on the ways in which his achievements reflect the ideals of an engaged intellectual. Speakers also highlighted Abu-Lughod's contributions toward building Palestinian society during his time at Birzeit University. Students, lecturers, researchers, and prominent intellectuals representing diverse fields attended. In his opening speech, Dr. Khalil Hindi, president of Birzeit University, praised the role of Abu-Lughod in enriching Palestinian academic life and his distinguished contributions at Birzeit University. Dr. Asem Khalil, the director of the Ibrahim Abu-Lughod Institute of International Studies, also paid tribute to the life of Abu-Lughod by describing how he established the Association of Arab-American University Graduates (AAUG) in the United States. Mecalla Dive Natavar from Princeton University chaired the second session. Lila Abu-Lughod, Columbia University, presented a paper entitled "Forced Entry: My Father's Education into Politics" in which she offered a personal reflection on her father's experiences and shared insight about her father's life that she gathered through interviews with his friends and colleagues. Roger Heacock from Birzeit University presented his paper "Subject or Concept? An Interdependent Dyad." Journalist Alain Gresh, editor of Le Monde Diplomatique, presented a paper entitled "Western Intellectuals Against their Society: In Praise of Fitna." The third session, with Nubar Hovsepian of Chapman University as chair and discussant, focused on Abu-Lughod's later years spent in Palestine. 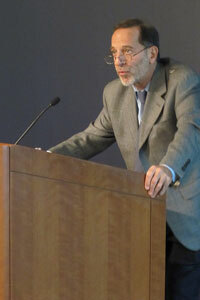 Author Hassan Khader presented his paper entitled "Ibrahim Abu-Lughod in Palestine: Late Cultural Encounters." Abdel Karim Barghouthi of Birzeit University presented a paper entitled "Misery of Enlightened Awareness: The First Palestinian Curriculum." Lourdes Habash, also from Birzeit University, presented a paper entitled "A Refugee Responds by Writing." Rashad Twam, Birzeit University, concluded the session by discussing his paper on the personal library of Abu-Lughod. In the fourth session, speakers drew comparisons between Abu-Lughod and other intellectuals. Abdul-Rahim Al-Shaikh of Birzeit University presented his paper entitled "Palestinians at the Golden Gate: Abu-Lughod Versus Said." Sameeh Hamoudeh, also from Birzeit University, discussed a paper entitled "Indigenous Intellectuals Confront Hegemony: Ibrahim Abu-Lughod and Ward Churchill." 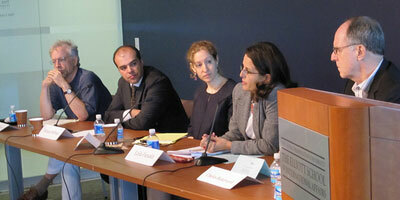 Rasha Tuffaha, an independent researcher, discussed her paper entitled "Fadwa Tuqan: Above the Lines." Khaled Odetallah of Birzeit University presented his paper entitled "Four Theses on the Epistemology of Commitment" at the conclusion of the session. The final session of the conference was dedicated to family and friends of Abu-Lughod. Raed Bader read reflections about Abu-Lughod written by Naseer Aruri, Saed Chedid, Elaine C. Hagopian, Rashid Khalidi, Fouad Mughrabi, Jamal Nassar, and James Zoghbi. Funds from the U.S. Department of Education were used to support PARC's participation in this conference. 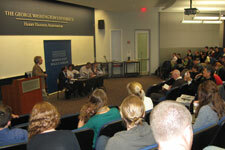 The session was moderated by GW's Political Science and International Affairs Professor Nathan Brown. PARC gratefully acknowledges the support of George Washington University, the U.S. Department of Education, and the Educational and Cultural Affairs Bureau of the U.S. State Department through CAORC. This conference featured a special talk by Rashid Khalidi and a multi-disciplinary survey of the state of scholarship on Palestine. Presenters discussed what we know, what we don’t know, and what obstacles we need to overcome in order to advance the field of Palestinian Studies. 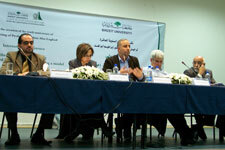 Panel 1 – Palestinian Politics and Economics: What Can Scholars Know? The ambiguous meanings ascribed to Jerusalem throughout history are omnipresent and often seem to penetrate every stone of, and every discourse about, this contested city. Names like Al-Quds and Yerushaláyim, West Jerusalem and East Jerusalem, The Holy City and Al-Quds Al-Sharif all imply meanings ascribed to the very same social space. This living space in Jerusalem, as a center of human experience, has been subject to drastic transformations. To understand these transformations and their consequences for the social, cultural, political, and legal spheres, it is necessary to recapture history and to rethink the present, thereby conceptualizing what will be Jerusalem’s History of the Future. The Institute for Palestine Studies (IPS) held a three-day conference entitled "Jerusalem: History of the Future" with funding from PARC, the Ford Foundation, Heinrich Böll Foundation, and the Jerusalem Capital of Arab Culture Project. The opening ceremony and a press conference were held in Jerusalem on July 31, 2009 followed by three days of presentations and discussions in the West Bank. 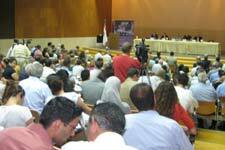 On August 1-2, about 300 people attended the events in the Kamal Nasser Lecture Hall at Birzeit University. 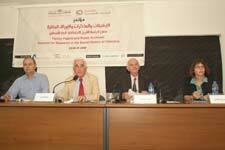 The third day of the conference took place in the Mahmoud Darwish Cultural Center in Nazareth. The topics addressed throughout the conference were as diverse as the complex realities on the ground. 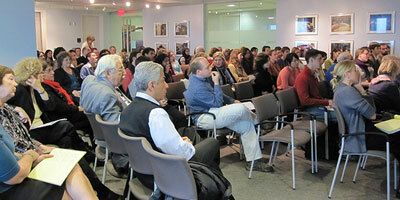 Topics covered and discussed by an interested audience included shifting policies of the Arab States, the U.S. and the E.U. ; Jerusalem in international law; the politics of demography in Jerusalem; the Judaization and colonization of Jerusalem; education, housing, health and the economy; the reshaping of space, history, and culture; women; and civil society in Jerusalem. Amongst the prominent speakers and panelists were Rashid Khalidi, Salim Tamari, Issam Nassar, Varsen Agabekhian, Said Khalidi, and many other Palestinian academics, scholars, and activists. It became obvious over the course of the conference that Jerusalem is a microcosm of the general situation of life under Israeli occupation and a macrocosm within itself. It is the latter dimension, with its specific implications for Palestinian Jerusalemites, that needs to be addressed even more specifically. Having identified a wide and complex area of vulnerabilities, threats, and consequences, the presentations given at the conference provided an important basis for further research and action. The fact that the questions these presentations raised outnumbered those they answered further indicates the necessity of continuing discussions about Jerusalem and the meaning of its history of the future. The importance of Jerusalem as a national, religious, and historic idea informs policy in a fundamental way and thereby inflicts damage on another sphere of the city—that of the lived human experience. It is this living aspect and its interplay with Jerusalem as a sense of identity that is significant for the lives of the Palestinian Jerusalemites. The meaning of Jerusalem’s "stones" needs to be integrated into the lives of its population and not the other way around. The conference enjoyed the patronage of the Palestinian President Mahmoud Abbas and took place in the context of Jerusalem being named the Capital of Arab Culture for 2009. PARC is grateful for funding from the U.S. Department of Education to support this event. In early January, 2009 PARC joined eight other research centers and institutions to cosponsor and support the first annual Graduate Student Conference entitled "Palestinian Academic Research: Achievements and Challenges" that was organized by Birzeit University's Academic Support Unit. During the two-day event, conference participants discussed the achievements and challenges of Palestinian academic research under Israeli occupation and presented their ideas on how to increase the quantity and quality of Palestinian research and to provide a solid and appropriate conceptual framework. In his opening remarks to the conference, the Birzeit VP for Academic Affairs stressed the significance of holding a conference on this topic during the Israeli invasion of Gaza. The conference was organized around four major themes. The first theme, "Academia of the Colonized," included an analysis of knowledge production across countries with colonial histories and an examination of the technical and logistical difficulties of conducting research in Palestine. 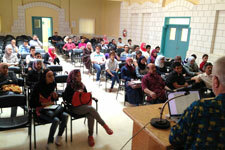 Papers presented around the second theme, "Research Questions and Priorities in the Case of Palestine," investigated the politics of knowledge production at the governmental and non-governmental levels. An overall conclusion of these discussions was that a general absence of 'new' questions and the dominance of 'obsolete' paradigms leads to research that heavily favors quantitative methodology at the expense of qualitative research. This, along with the politics of research questions, priorities, and funding agendas, has led some institutions to avoid addressing some of Palestine’s most pressing political and social issues. A third theme, "Resources of Palestinian Research: Abilities and Possibilities," addressed the need to develop human resources with the potential to conduct cutting-edge research in Palestine and abroad. Presenters attempted to identify these resources in terms of fields of specialty, recruitment, immigration, employment, and incentives, also taking into account the present conditions of both governmental and non-governmental institutions. 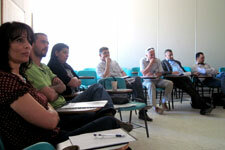 The session also examined accessibility and obstacles in terms of scientific research in Palestine. 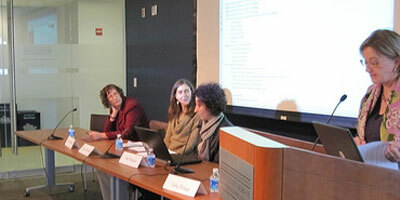 The fourth and final theme of the seminar tackled the plight of "Palestinian Institutions under Israeli Occupation." Aside from detailing the effects of Israeli policies on Palestinian academic institutions, papers presented on this topic also highlighted "success stories" of institutions that have overcome obstacles to produce exemplary research. Participants drafted a concluding statement with recommendations for improving Palestinians' research capabilities. The statement stressed the importance of communication with human rights organizations and other entities concerned with academic and intellectual freedom at local, regional, and international levels. It also emphasized the need for direct communication between academic and research institutions in Palestine’s various geographical areas for the purpose of cooperating on the development of research priorities, policies, and agendas. Finally, participants recommended the formation of committees that would facilitate joint research projects, networking and the exchange of expertise, and increase the potential of academia to play a role in the theoretical unification of the country even in the absence of its geographic unity. For two days in July, 2008 more than 100 participants attended a conference entitled "Family Papers and Public Archives Conference: Sources for Research on the Social History of Palestine" that was organized by the Institute of Jerusalem Studies (IJS) and Birzeit University. 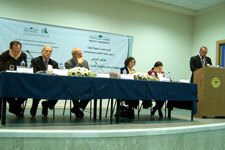 The conference was partially sponsored and funded by PARC, the Palestine Investment Fund, and Heinrich Böll Foundation. PARC board member Beshara Doumani was the keynote speaker and presented a methodological paper on Palestinian family archives. Many PARC fellows and members attended this important conference. Various sessions included: Personal Papers as a Source for Historical Research, Jerusalem Court Records, Archives of the 1948 War, Photography and Visual Culture, and the British Mandate Seen through Family Papers. See the complete agenda. At the end of the conference Salma Khalidi announced that she is donating her family papers (two hundred years of documents, correspondence and photographs) to IJS. Several participants made similar initial commitments. For instance, Ahmad Murwat, from the Nazareth Archives center, donated a copy of the diaries of the head of the Russian Seminary Emil Kozma from the end of the 19th century. One important feature of the conference was the announcement of the launch of an IJS archives website. The site will have scans of original diaries, sections of published material from IJS, historical photographs in lower resolution, and other archival material. 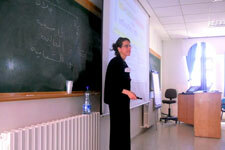 This website is expected to be a significant source for researchers in Palestine studies. The conference received good media coverage from Al Jazeera Mubashir (Al Jazeera’s live TV broadcasting), which broadcast the first day of the conference live to some 25 million viewers. Local media coverage included Maan and Palmedia. The IJS website address is http://www.jerusalemquarterly.org.